I first reviewed Reginald Cyntje's "Love" CD back on November 22, 2013. In that review, I noted that Love was a mix of "calypso, reggae and other "Caribbean flavors." 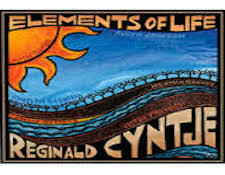 For his latest release, Elements Of Life, Cyntje's goal was a harmonious balance of the elements and a search for joy. The unmistakable sounds of traditional Calypso music are still there - like the steel pan drum. Cyntje's remarkable talent on the trumpet is also present. The nine tracks are somewhat more mellow and somber that his previous work but still very enjoyable. 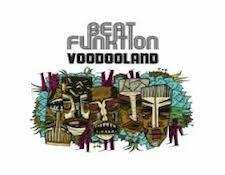 Precisely what a Swedish funk band and Voodoo have to do with each other I cannot say, but Beat Funktion has delivered a work that lives up to the band's name. With trumpets, sax, organ, clavinet, electric bass and drums, all the pieces of the puzzle are there for some up tempo Philadelphia style jazz / funk with an African, Latin groove. The six member ensemble strip down this work to the bare essentials and delivers a very enjoyable "desert Island" release that is sure to please. Born in Germany, moved to California at age fourteen, Kevyn Lettau grew to love jazz in the culturally rich California music scene. In the mid 1980's she began working with Sergio Mendes, an association that lasted eight years. Subsequently, she released two solo albums that proved to be very popular with her fans. In 2000, she initially released Songs Of The Police, which her fans also found very popular. This version has been re - mastered by JVC at their Japan studio using the superior XRCD24 mastering process for increased sonics. Lettau has a captivating voice and along with outstanding arrangements her talents really shine. On "De Do Do Do, De Da Da" she has a vocal / percussion duet that is both interesting and really well done. Given the lush arrangements, and the remarkable sonic quality, if you like music by the Police, done in a jazz style by a talented vocalist, this is one to have.